The Nonprofit Summit is North Central Florida’s largest educational conference for nonprofit professionals, board members, community leaders and our student population of emerging leaders. Attendees will receive training, build and strengthen relationships, identify resources and learn from one another during an inspiring day of education. 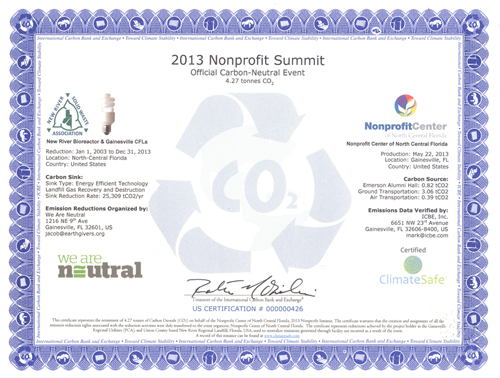 ClimateSafe Certification guarantees that a product, service or event is actually Carbon Neutral.